Dawn Richard may be recognizable to some for her time on Diddy’s reality show, Making The Band and then with the hit girl group, Danity Kane. 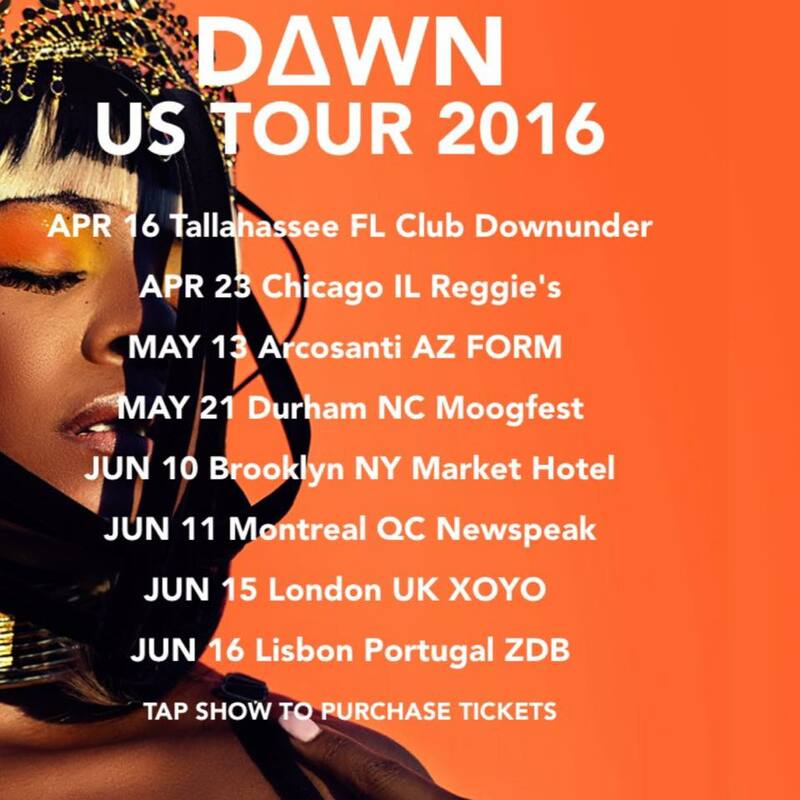 After the group broke up, she went on her own and began a solo career in 2011 and now goes by D∆WN, . Richard released her album, “Goldenheart” in 2013 via Our Dawn Entertainment. Last year, she put out her sophomore collection, “Blackheart” and it hit number 2 on Billboard’s Dance/Electronic charts. Thanks for your time! So now that we are 2 months into 2016, how’s the year been treating you? What were some of the highlights of 2015 for you and your music? I think it was pretty awesome making twelve best album lists for 2015 and ranking number one on Fact Magazine’s list. I never take time just to take it all in. Honestly, I’m always working so it was cool to see that we made an impact. Highlights of 2015 would definitely have to be releasing nine visuals that all went number one on iTunes. “Blackheart” going number one on iTunes was another highlight. All those things in one year as an independent artist was special and amazing at the time time. We pushed ourselves and created some amazing art. In your music career, you’ve certainly had a lot of different experiences. Do you there is anything significant that you would have changed about any of it? Changing anything would mean that I wouldn’t be here. And here feels good right now. I needed all the crazy to get me to the calm. How do you think you have grown as an artist over the years? How has your sound changed and matured? I’m confident in my imperfect. That’s growth for me. And with that my sound has evolved into a perfect blend of my experiences. This hybrid of happy, sad, pissed,and strong. My music is more alive now. How do you think being from New Orleans has shaped your music and really who you are as an artist? New Orleans is my DNA. It’s in the veins of my music. It’s why I am an artist. You recently released “Not Above That” which is the second single from your forthcoming album, “Redemption Heart”. What was the inspiration for this song? How does it compare to the other songs on the collection? This is song is so special. Working with Machine Drum is always exhilarating. We push and pull with drum and beat and melodic sways. It makes for such a unique sound. Nothing compares to The Red Era sound. I think this is my best work. “Redemption Heart” marks the final album of your trilogy which includes “Golden Heart” and “Black Heart”. Can you talk about deciding to create this trilogy? I wanted to leave something timeless. A message that was told that I could be proud of. This trilogy allows me to do that. I understand that you are a big reader and a lover of Shakespeare. Can you talk about how all this has helped you as an artist? Literature has always been my best friend. I grew up with my head in books. It’s affected the way I tell stories and write lyrics. This spring, you will be heading out on tour. Where are you most excited to play at? How long has it been since you were on the road? What do you think is the best part about touring? What’s the hardest? Really loving Alabama Shakes. They had an amazing album. Great sound. At the end of the day, what do you hope is the message of your music? What do you hope listeners take away after hearing your songs? I hope to move people. I’d love to cause them to laugh, cry, cringe, dance, sigh…. To be moved. Thats enough for me.